This adage confounded me for a long, long time. How can I not have expectations? For example, if I pay for my groceries, I expect that I will be allowed to take them home. If I’m in a relationship, I expect to be treated with kindness and not be abused. These seem like reasonable, even healthy, expectations. It finally dawned on me one day that I was confusing standards with expectations. The clear, hard light of reality shone through this word and revealed it to be illusory, a dream. Aha! If I expect things to go a certain way, then when they don’t, I will surely be disappointed. Yet another way that I create my own suffering, again and again. I’d like to say that I came to this realization years ago and have been so much more peaceful ever since, but I’ve only had hold of it for a few weeks. It took the process of selling two homes and buying one to open my mind to the truth about expectations. Almost nothing met my expectations. I expected to walk into a reasonably clean house after we closed – oh, not so. I can’t even talk about the refrigerator, or the mysterious brown sludge I found in the basement. I expected all of the realtors I dealt with to be professional – again, not so. One of them wrote us a scathing personal email, based on a series of miscommunications on the part of my realtor. I expected the truck that I reserved weeks ahead of time to be there on the morning of my move, not to drive an hour and a half to a small town to get one from another company because the rental site wasn’t even open that day. I think it was after the truck incident that I started to laugh and let these series of mishaps crinkle my eyes with humor rather than anger. You see, it doesn’t matter a hill of beans what I expect. Things will happen, people will do things, events will go awry, in all manner of ways that fall outside the realm of my imagination, let alone my simple expectations. There is what happens, and then how I choose to respond. That’s it. To use the example of being expected to not be abused in a relationship – the twist I couldn’t unravel is that instead of having an expectation of not being abused, I have the responsibility to respond if I am. Expectation is the twin sibling of control. Having an expectation is our way of imposing order and control on the future, and, well, that’s a pretty futile pastime. Exercising choice, creating healthy boundaries, and responding with intelligence are within my realm of control. The mindful person meets the bumps and hills and drop-offs of life with equanimity, a state in which the body, heart and mind are free to respond with wisdom, compassion and native intelligence. Imagine an accomplished skier in the mountains, flying down a near-vertical slope. She twists and turns, lands and absorbs the shock with her knees, keeps her head up and eyes on the path she must take, and skirts boulders in her path with grace. 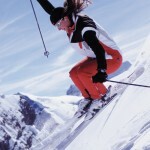 The mind that has equanimity is like this skier, fluid and free. The mind that is full of expectations for how events and people should be is like a charley horse, a cramped muscle that causes pain and irritation for the owner of it. https://consultnewleaf.com/wp-content/uploads/2019/01/logo-300x100.png 0 0 Jen Wilson https://consultnewleaf.com/wp-content/uploads/2019/01/logo-300x100.png Jen Wilson2013-08-01 15:22:092013-08-01 15:22:09Got Expectations?